Dear politicians: Now is the time to act. Oktoberfest. That’s something you might associate with Germany, Bayern and snow topped mountains, but perhaps not so much with tropical Madagascar. While logic dictates this assumption is right, Oktoberfest is live and happening all over Madagascar this month. I don’t know who’s behind the festivities in Germany, but in our case the party is 100% invented, organized and promoted by Madagascar’s most popular beer brand, THB. Because apparently not enough Malagasy where drinking beer, THB in 2005 started ‘celebrating’ their beer through the Oktoberfest. Normally this was done in the form of a three day giant stadium event with music, festivities, games and lots of beer. However, this year THB experiences competition from 33 eager politicians, campaigning for the presidential elections on October 25th. As politicians have taken over TV, radio and the newspapers with their campaigns we have seen a significant drop in alcohol advertisements in these media. However, THB has found a way to still get their message through, despite the bombardment of political messages, by blanketing our country with many smaller events in various places, to make sure no one escapes their marketing. Last week we had someone from EUCAM over to monitor alcohol marketing in our capital Antananarivo. When we first shook hands, he was already dumb founded by the amount of alcohol billboards and murals he had seen on the way from the airport. As the week went on and we systematically mapped various areas in the city, he appeared to be totally overwhelmed by the sheer amount of alcohol ads. And I have to say, walking through my city and registering every alcohol ad we came across, really opened my eyes. I already knew there were large amounts of alcohol advertisements in Antananarivo, but now I found that in many parts of the city you can’t walk 10 meters without being hit in the head by THB, Skol, Queens, Castel or Dzama. We also came across a Jumbo supermarket, which for the Oktoberfest seemed to be taken over by THB. Literally the whole store front and parking lot where covered in THB colours, flags, banners, giant sized bottles, dancing clowns, animation girls and TV’s showing THB commercials. The enormous amount of alcohol advertising in Madagascar is especially problematic because we identified many outdoor ads in close proximity to schools and kindergartens. We also found that schools are often surrounded by bars where, according to the kids we interviewed, it was effortless to buy alcohol as a minor. The retailers would probably make a remark about their age, but ultimately would sell them whatever they want. I am well aware that Madagascar culture and history are filled with problematic and harmful drinking behaviour. In 1828, Radama I, the oldest son of our first king allegedly died as a result of a delirium tremens from alcohol abuse. After which, his father king Andrianampoinimerina was the instigator of the “Code of 305 Articles” [Dimy venty sy telonjato], promulgated by the Queen Ranavalona II in 1881, which banned the sale, production and consumption of alcohol. At this time, to illustrate the devastating effects of alcohol, King Andrianampoinimerina had the people gathered around a special demonstration: a strong zebu was fed of alcohol. The animal was then sliced so that people can found that his bowels were burned by alcohol. From there come the famous Malagasy sayings “There’s nothing stronger than a zebu but when it is fed of alcohol, his liver burns” [Tsy misy mafy ohatran’ny omby fa rehefa misotro toaka may ny atiny] and “One will see the bottom (what is hidden behind the apparent reality) after slicing” [“Eo am-pandrasana mahita ny atiny”]. Nowadays though, it seems this lesson has been forgotten and we are collectively losing our people to alcohol. Do we really want to expose our children to marketing messages that say that it’s normal (or preferable even) to consume alcohol every day of the week (in 65 Cl bottles)? Do we want our children to think that drinking alcohol provides an escape from the problems of everyday life? That drinking is the Malagasy thing to do? The Blue Cross Madagascar will shortly present a policy report to the inter-ministerial committee on alcohol abuse. Among the main points will be the advice to regulate and actually enforce the regulations on alcohol marketing and selling to minors. To the candidates of the current presidential election I want to say that it’s not too late. King Andrianampoinimerina lost his son before he enacted a law to address the problem of alcohol abuse. Dear candidates, this is your chance to enact laws before a whole generation of young Malagasy drowns in alcohol. 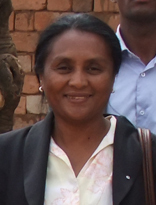 National Coordinator of Alcohol Policy Program, Blue Cross Madagascar.